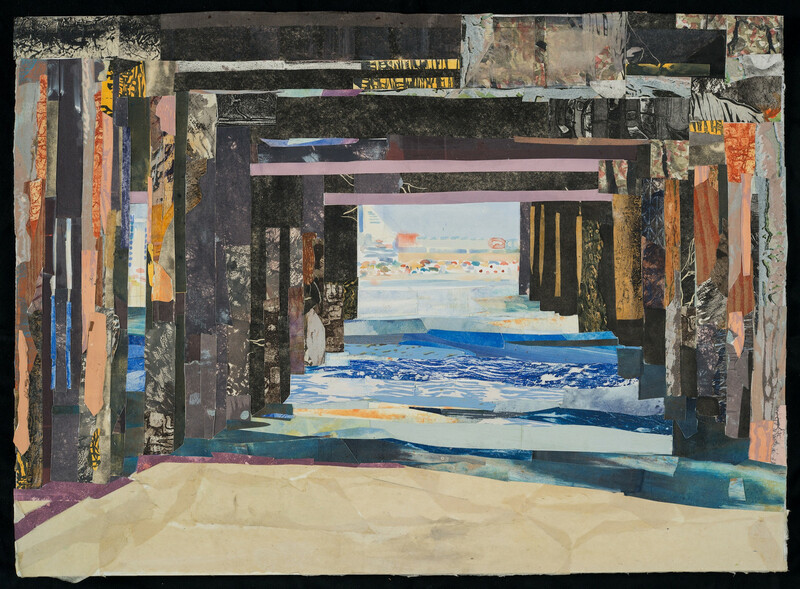 Under the Boardwalk #3 and #7, both pieces the Pennsylvania Convention Center acquired, are from a series depicting the Atlantic City/Ventnor, New Jersey boardwalk. In #7, shown here, both the light quality on the beach and the sunshine bleached color against the darkness under the piers inspired this composition. In #3, Back is especially attracted to the range of colors on the piers.